While the chaos of our world is constantly leaving us with a sense of uncertainty, it looks like fashion people are staying firmly planted in the ground this summer. Quite literally. As spring's annual cues mark the beginning of seasonal changes (gardens thaw and sunlight returns to our daily lives), when it comes to our shoe trends, we're staying put. This winter saw the rise of the hiking-boot trend. Holly Willoughby led the way in her classic Grenson boots in the jungle, while cult brand Ganni put practicality and utility at the core of its collection. With "outdoorsy athleisure" predicted to be major spring/summer 2019 trend, we're beginning to see the evolution of the hiking trend continue into summer. We're anticipating that this need to anchor ourselves in chunky footwear will be best met with a pair of Dr. Martens sandals. According to a 2018 report, Doc sales rose 35% in Europe last year, as the demand for 1460 boots and 1461 shoes skyrocketed. So it would only make sense that this year, the brand's sandals will quickly become a cult favourite. In its 72-year history, the timeless designs of Dr. Martens shoes have evolved from strictly workwear to punk must-haves to fashion-girl staples. Let's just say they work for everyone. Similar to the Birkenstock revival, the expected popularity of Dr. Martens sandals can be attributed to this enduring style and the durability of the shoes, with lightweight and vegan versions available as well. 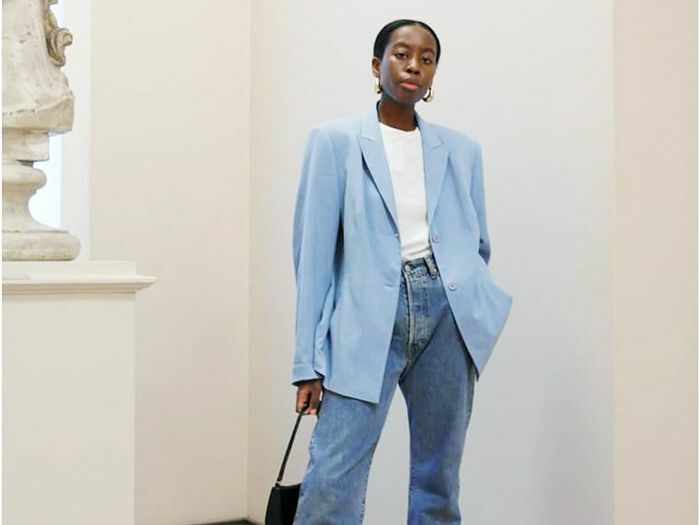 We've already seen a few of our favourite Scandi influencers wearing them last summer, but we are certain these will start popping up on our feeds a lot more this year. The chunky sole synonymous with the brand makes for sturdy summer shoes, while the minimalist look means you can wear these sandals with anything from summer dresses to jeans and a nice top. In addition to Dr. Martens sandals, we've been anticipating the chunky sandal trend for a while. From Alexa Chung to Brittany Bathgate, we've seen these velcro Chanel sandals trending since last summer, but it feels like we're finally ready to try them out ourselves. This season, both the high street and luxury brands like Prada have produced their own versions of the chunky black leather sandal, making the Chanel and Dr. Martens ones look less rogue. The more we've seen influencers wearing big, practical sandals, the more we're convinced of their versatility. The Dr. Martens ones feel like more of a statement due to the weight of the platform, but there are many options for trying this trend. Monikh has been wearing her Chanel ones on repeat through every season. From summer dresses to jeans and a wool coat, she has been a champion for the versatility of chunky black sandals.